LEASE A 2018 DURANGO SXT PLUS RWD FOR $339 per month for 39 months. $3,849 total due at signing, no security deposit required. Tax, title and license extra. For well qualified lessees. Based on MSRP example of $34,885.00 with 2BB package after all applicable offers. Total due at lease signing includes a down payment and first month’s payment. Offer requires dealer contribution. Tax, title & license extra. Lessee pays for excess wear and mileage of $.25/mile ($0.50/mile for SRT models) for each mile over 12,000 miles per year, if vehicle is returned at end of term. Option to buy at lease end at pre-negotiated price. Dealer’s actual terms may vary. Offer through Chrysler Capital. Residency restrictions apply. Must take retail delivery by 01/02/2019. $395 disposition fee due at lease end. SMOOTHER TRANSITIONS OF POWER: The Dodge Durango comes standard with the class-exclusive electronic eight-speed automatic transmission, providing impressive efficiency, acceleration and shifting. The T-shifter adds interior refinement, while available steering wheel-mounted paddle shifters lend precise manual control of the transmission. Inspired by Dodge muscle, the standard class-exclusive LED racetrack taillamp consists of 192 individual LEDs blended to form one seamless ribbon of glowing red light. 192 individual LEDs make up the stunning signature racetrack taillamp—an iconic part of the Dodge Brand legacy. Six grilles are available on the Dodge Durango. Shown here, the Citadel features a stout chrome grille surrounded by a bright chrome cross-hex texture accent. Fit up to seven people or try more than 50 different seating configurations to carry your cargo and passengers. Available premium second-row Fold & Tumble captain’s chairs allow your passengers to move from the second to the third row between the chairs (when the vehicle is not in motion). The steering wheel offers a range of standard and available high-tech features to keep control at your fingertips. Keep it simple. Make a phone call with Uconnect® Voice Command and end it with the effortless push of a button on your steering wheel. It’s in your hands. Easily control your eight-speed automatic transmission with available steering wheel-mounted paddle shifters. Set a course. For comfort on long drives you can conveniently maintain your set speed while cruising. Durango offers two new Uconnect® systems—the Uconnect 4 and the available Uconnect 4C NAV. The Uconnect 4 includes a 7-inch touchscreen, Android Auto™, Apple CarPlay® support, integrated Uconnect® Voice Command, Bluetooth® Streaming Audio and SiriusXM® Satellite Radio. The Uconnect® 4C NAV increases the size of the touchscreen to 8.4 inches and adds SiriusXM Guardian™, Navigation, SiriusXM Traffic Plus and SiriusXM Travel Link. Drive with confidence on wet or icy roads. Electronic Stability Control monitors your steering input and vehicle motion to help you maintain directional control. Electronic Stability Control (ESC) monitors your steering and vehicle motion to give you confidence on every curve. For extreme maneuvers, ESC compares your steering input with the vehicle’s actual movement. When it detects a difference, ESC applies the brakes and reduces the throttle to maintain directional control. 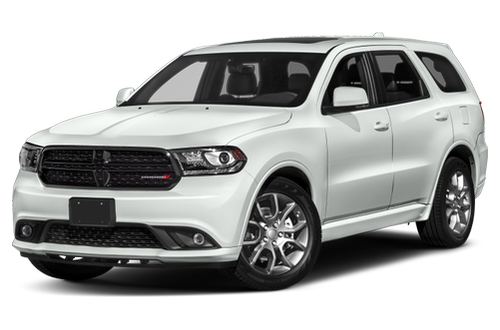 With the 3.6L Pentastar® V6 engine, 18.5-gallon fuel tank and TorqueFlite® eight-speed automatic transmission, the Dodge Durango delivers up to 30 highway mpg and either 292 horsepower or available 300 horsepower. So grab your energy drink and go. Based on the 2016 WardsAuto Large Regular Car Segment. 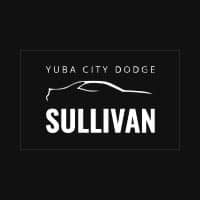 Excludes other FCA US LLC vehicles. EPA estimated 30 hwy mpg with 3.6L engine and eight-speed automatic transmission, RWD. Actual mileage may vary. Horsepower rating only with Rallye Group.